Our winner was not only an early member of IMCoS but helped found a sister society. He drew his first map as a small child. I’ll leave you to ponder on those slender clues for a bit. (or was it into) his bath, watched Pythagoras squaring his hypotenuse (presumably in the gym), and focused our dislike of geometry on poor Euclid who had done no more than invent it. But what do we really need to fully decode an early map? Are they no more than cities and ports, coastlines and mountains, roads and rivers, pretty cartouches, mermaids doing their make-up, and so on? Like the visible parts of a building, the elements that are noticeable are merely the superstructure on a carefully contrived foundation. And – in the case of maps – that means the mathematical projection that represented the first choice a cartographer had to make. Given the literally fundamental importance of this element, hidden from those of us who cannot readily tease out a map’s projection at a glance, the lack of a mathematical focus in map history literature is surely surprising. There is, though, one person who – above all others – has made the mathematical underpinning of cartography one of his major focuses. He is the capo di tutti i capi – and this is my final hint – of this branch of our subject. I refer of course to Professor Vladimiro Valerio. Born and educated in Naples, Vladimiro went on to teach Architecture, and Analytic Geometry at the university there. He left for Venice in 1999 to teach Descriptive Geometry and History of the Methods of Representation, until his retirement in 2011. Where, you might ask, do maps come in? Well, when he started drawing maps, at the ripe old age of six. A few of those even survive from his school days. The cartographic urge never left him and he would produce a 14-sheet map of the archaeological site of Pozzuoli in 1980. For our purposes, what matters is when he started collecting. That was some years earlier, in 1974. His most pleasing purchase was the manuscript Stigliola atlas of the Kingdom of Naples, c.1595, which led to an article in The Map Collector, ‘The Neapolitan Saxton and his Survey of the Kingdom of Naples’. Vladimiro’s major collecting target, which was paired with deep research, was the work of Giovanni Antonio Rizzi Zannoni. Vladimiro has managed to collect all his cartographic productions and used those in compiling his entry on Rizzi Zannoni for the forthcoming Volume 4 of The History of Cartography. Vladimiro also spent a year organising a conference and exhibition in 2014 to celebrate the bicentenary of his hero’s death. 70 members, made up of scholars, dealers and collectors. He was responsible for some of their annual publications and regular exhibitions. Vladimiro has travelled widely in response to invitations to share his expertise. He has received many honours and awards, and has been the recipient of major research grants. His primary interest has always been in understanding the mathematical basis of the mapping of Italy, particularly Naples and the South, as well as the atlases produced there. As he explained in his interview with Ljiljana, in the IMCoS Journal three years ago, he seeks ‘to get beneath the map’, hence a further interest in paper and watermarks, on which he has published detailed studies. Over the past 35 years – his first publication in the History of Cartography was in 1980 – Vladimiro has grown in status to become the chronicler of Italian cartography, especially for the eighteenth and nineteenth centuries. Most of his output remains available only in Italian. A notable exception is his chapter in Volume 3 of The History of Cartography, on ‘Cartography in the Kingdom of Naples during the early Modern Period’. This will undoubtedly remain the defining summary for a long time. However, a number of his articles did appear in English, some of them in The Map Collector. I will mention a few of those, before referring to some of his substantive volumes. Among his early, wide-ranging articles is ‘Means and Aims in Historico-Cartographic Studies in Italy’, translated by David Woodward for Imago Mundi; and ‘Map Collections in Italy’, for the Newberry Library’s Maplines. ‘A Mathematical Contribution to the Study of Old Maps’, published in the proceedings of the 1981 International Conference on the History of Cartography in Italy, sets out to educate us about the importance of understanding the geometric structure of the maps we collect or study. I wonder how many of us can put their hands up and say we have learnt his lessons. Vladimiro kindly provided me with a 14-page listing of his 150 publications, highlighting the large number of books he was written, co-authored or edited. The first of his ten solely authored, book-length publications, Atlanti napoletani del XIX secolo (1806–1860), firmly placed a flag in the ground for what would become a life-long concern. The maps of Naples, and those made in it, feature strongly – particularly the output of the Officina Topografica – as do the city’s rich collection of views from the fifteenth century onwards. Whereas most historians concentrate on the cartographer alone, ignoring the skilled artisans who turned their work into publications, Vladimiro has paid close attention to the engravers and lithographers involved. It is not feasible to summarise here all the topics he has made his own, often by applying geometric principles. To give just a few examples: the influence of Ptolemy on Renaissance mapping; the discovery of curvilinear perspective in Jacopo de Barbari’s view of Venice; infinity and horizon in the work of Leonardo da Vinci; cartography in Ariosto; and studies into Piero della Francesca’s scientific writings as well as the inclusion of the true sky in his fresco of the Dream of Costantino. The interconnection between nineteenth-century art and cartography, and the representation of mountains, also came under his gaze. As he rightly said: ‘time is so short, and there is so much to study’. Of his books, the one Vladimiro is personally most proud of is Società Uomini e Istituzioni Cartografiche nel Mezzogiorno d’Italia [Men, society and cartographical institutions in southern Italy]. This is a 750-page history of the Kingdom of Naples seen through its cartography – the only such study of its kind – and includes detailed biographies of hundreds of people involved (mathematicians, artists, engravers, astronomers, land surveyors, etc). Its introductory sections were translated into English by David Woodward. Also of note are a two-volume study of the printed maps of Sicily (1477–1861), including a long essay, which is repeated in English; as well as a number of exhibition catalogues. These include one in 2011, celebrating the 150th anniversary of the unification of Italy, L’Italia prima dell’Italia, another, Carte geografiche e topografiche dell’Italia dal 1478 al 1861, and also L’America vista dall’Italia. One of his titles sounds to me as if it just might have a little of the Dan Brown about it: Amicizie e intrighi nella Napoli del diciottesimo secolo [Friendship and intrigue in eighteenth-century Naples], but, if so, I am sure the scholarship will be impeccable. 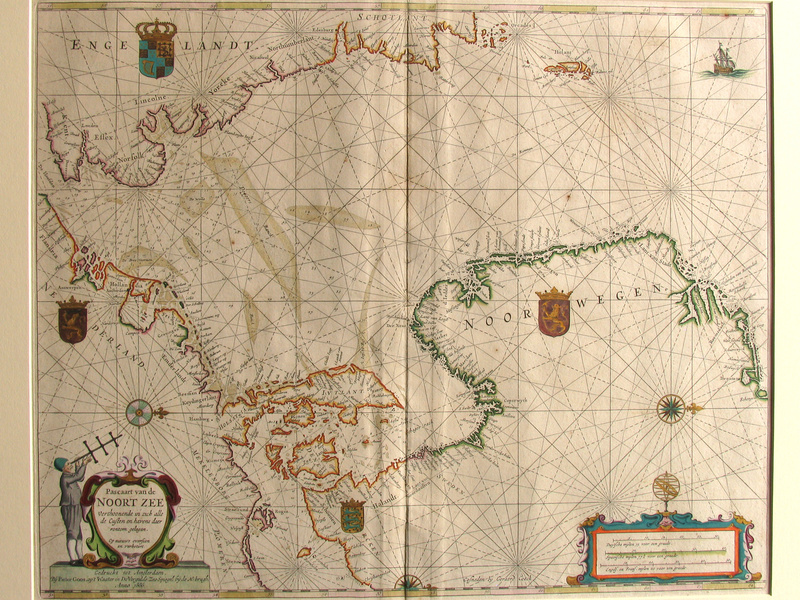 Vladimiro has been closely connected with the History of Cartography Project from its outset and is a contributor to several of its six volumes. In the early days, he exchanged theoretical ideas with Brian Harley, and he was a close personal friend of David Woodward. I would like to bring in here some comments – which I have regrettably had to abbreviate – from Mary Pedley, who has been in regular contact with him over the forthcoming Volume 4, on the European Enlightenment. As explained to me by one of Vladimiro’s colleagues, once a Napoletano, always a Napoletano – ‘pointing to a big heart and great passion, always generous with help for others’. Vladimiro retired from the IUAV University in Venice so that he could devote time to looking after his twins, Beatrice and Tommaso – now nine-years old – as well as his elder son, who left Naples to join him in Venice. Since Vladimiro claims to be a better father than a researcher, his parenting skills must indeed be exceptional. I am sure the twins and Francesco will be deservedly proud of our 2017 IMCoS/Helen Wallis Award winner, Professor Emeritus Vladimiro Valerio.